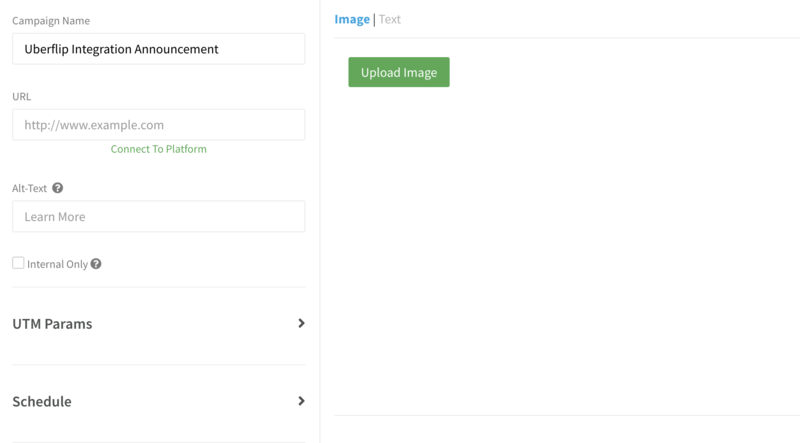 Connect your Uberflip-powered content to every email sent by your employees. 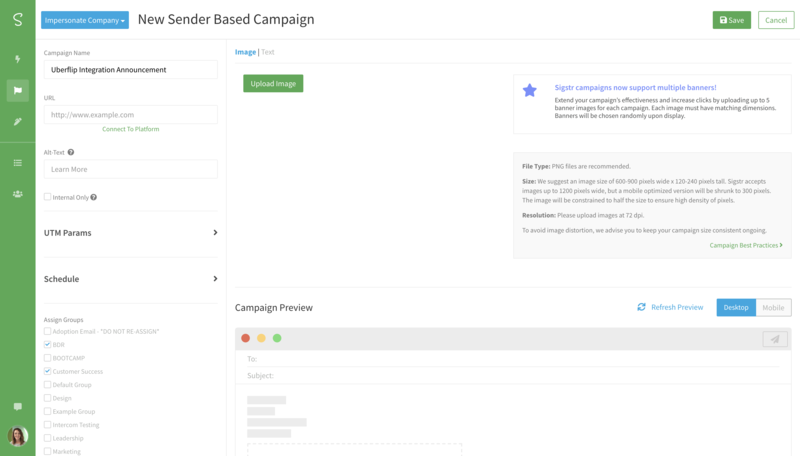 With the Uberflip URLs automatically tagged with the appropriate parameters, you will be able to measure how many views, form submissions, contacts, and customers won are sourced from Sigstr. 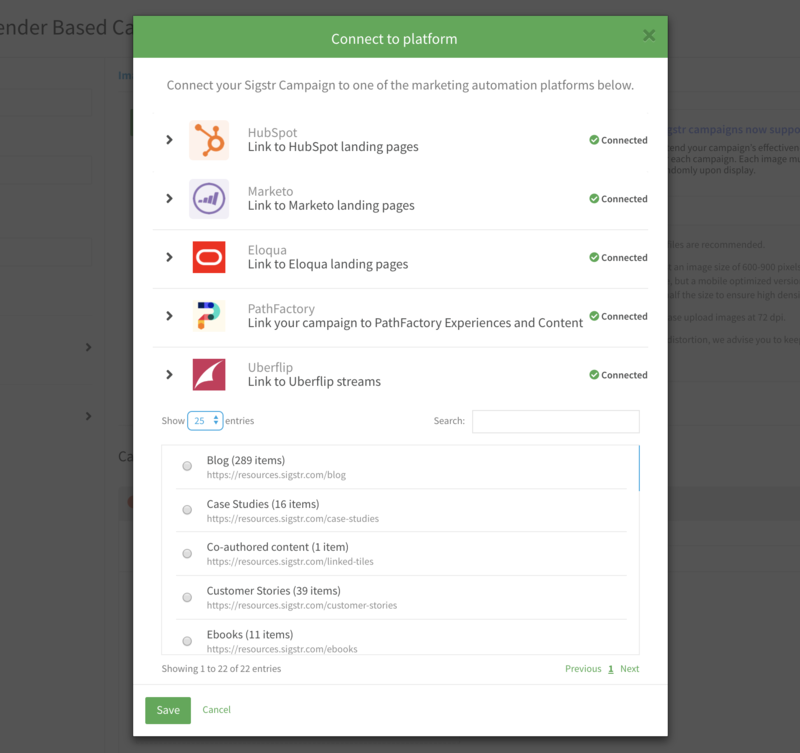 Click on the dropdown arrow next to Uberflip, and choose the track you would like to link your Sigstr campaign to.